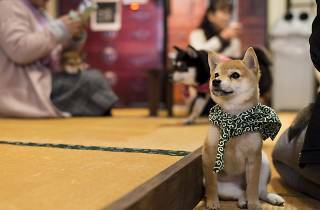 Tokyo has achieved worldwide fame for its animal cafés. The original craze started with cat cafés, but has slowly expanded to accommodate a wide range of domestic pets and tame animals. Of course, we have some ethical concerns as well, so we sought out cafés which prioritise the well-being of the animals, with few to no cages and enough space to wander. 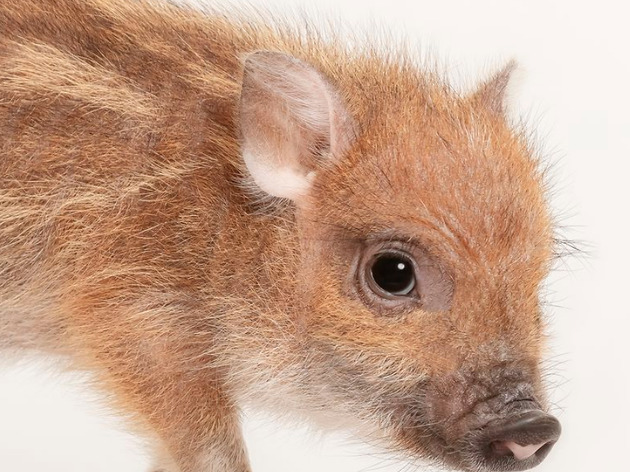 Whether the animals seemed stressed or not was an important factor in our selection. Bonus points for those who give the animals 'off time', in which you're not allowed to pet or be near them. 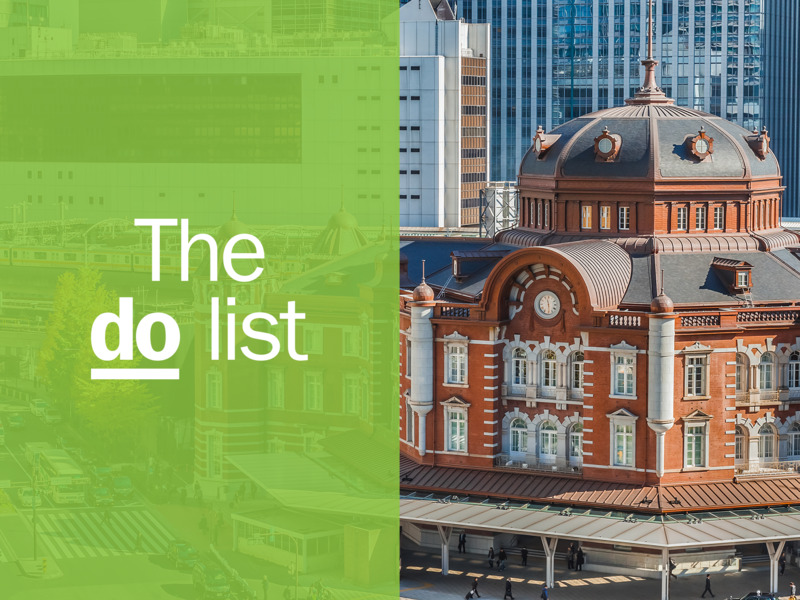 With this in mind, we've compiled our top spots around the capital, ranging from the ubiquitous cats to snakes and owls. Note: venues either have a cover charge or require one drink order. 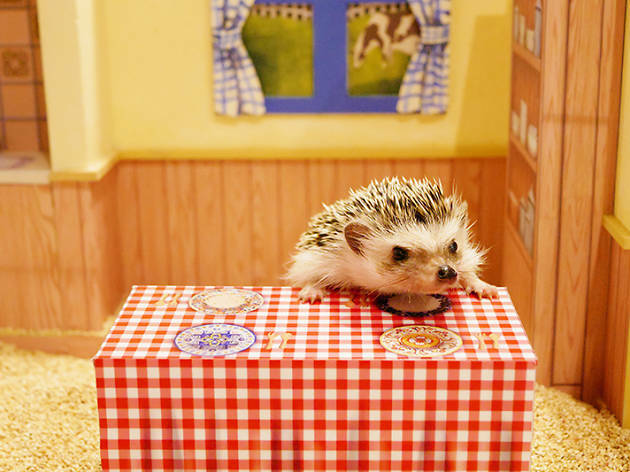 After its range of cats, owls and hedgehogs, Tokyo came up with an even more bizarre addition to its super popular series of animal cafés. 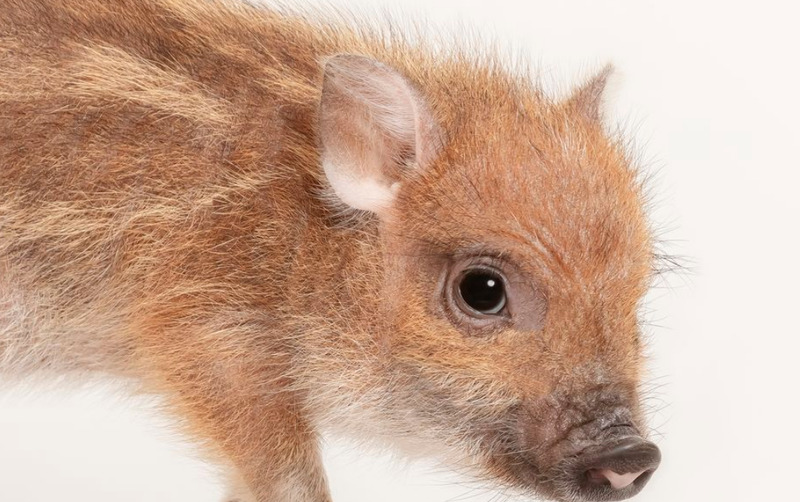 At this new spot in Meguro, you can now cuddle with adorable miniature piggies in a cheerful and homely ambience. 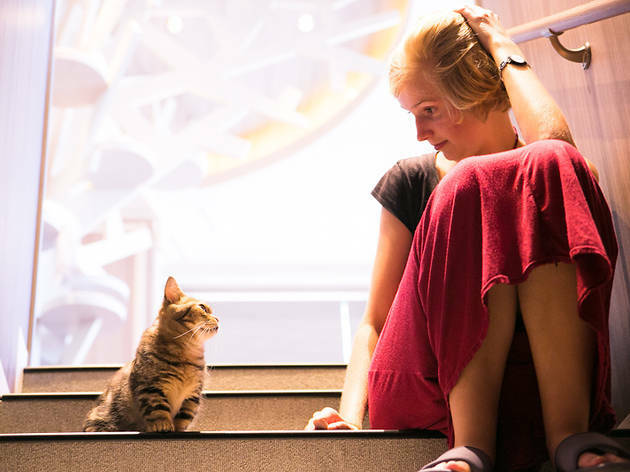 Pet and play with the tiny cuties on three different floors while sipping on a cup of tea or coffee (one drink order required, from ¥600). 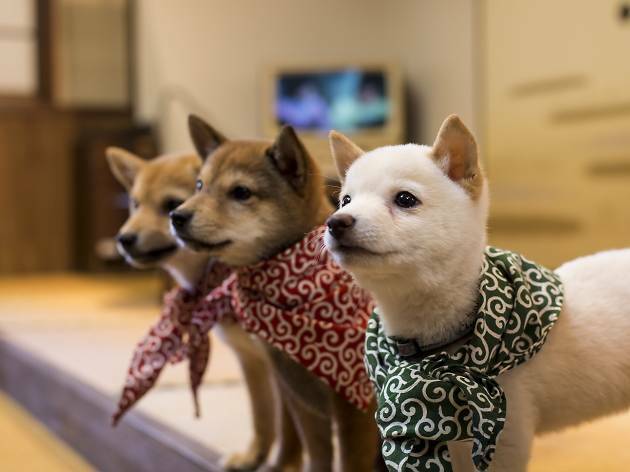 Tokyo's first Mame Shiba Café is now open on Harajuku's iconic Takeshita-dori. 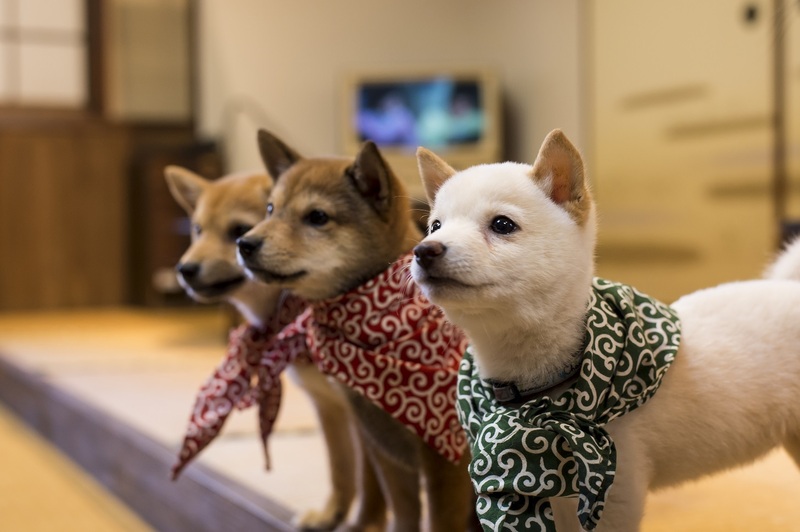 Mame Shiba Inu are a smaller version of Japan's popular Shiba Inu dogs. 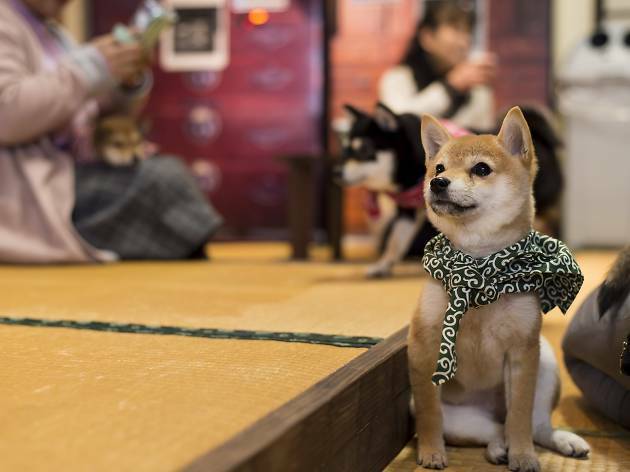 The homely, traditional atmosphere of the café, with tatami flooring and low dining tables, makes this experience even more unique, since it feels like playing with these tiny cuties in a regular Japanese home instead of a café located on one of Tokyo's most bustling streets. The entry fee covers entrance, a drink and a time slot of 30 minutes with your favourite furry friend. Get there early to avoid long queues. 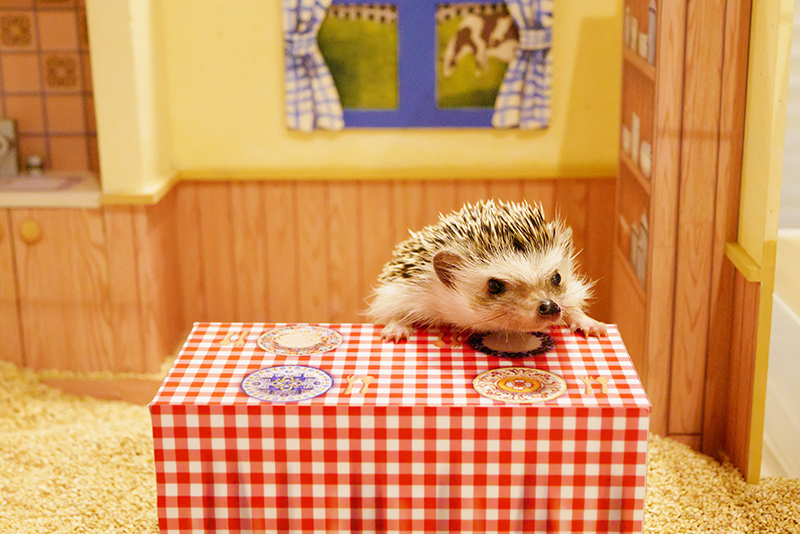 Relaxing with little hedgehogs is high on many a traveller's Tokyo must-do list, and this new Shibuya spot adds to the selection of cafés offering that very opportunity. At ChikuChiku Cafe you can feed, touch and take photos with the little cuties under the guidance of the staff. The furry friends totter around in environments modelled on bathrooms, classrooms and Japanese-style tatami rooms – it's like a collection of doll houses for hedgehogs. 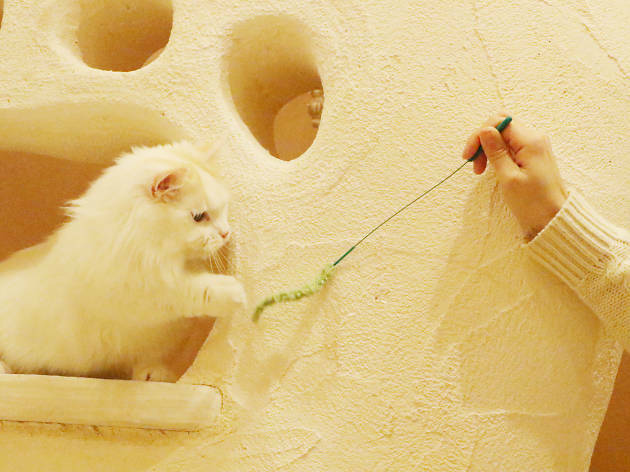 This charming brand­-new cat café introduces you to a whole new level of cuteness. Located within the themed shopping and food ‘village’ Kichijouji Petit Mura, the facade looks like the castle of a magical cat­-kingdom straight from a book of fairy tales. A selection of 20 cats are on hand to be cuddled, and offer highly Instagrammable photo opportunities, especially at feeding time. When it comes to snacks, the smart money’s on the tasty parfaits garnished with cute cat­-shaped cookies. 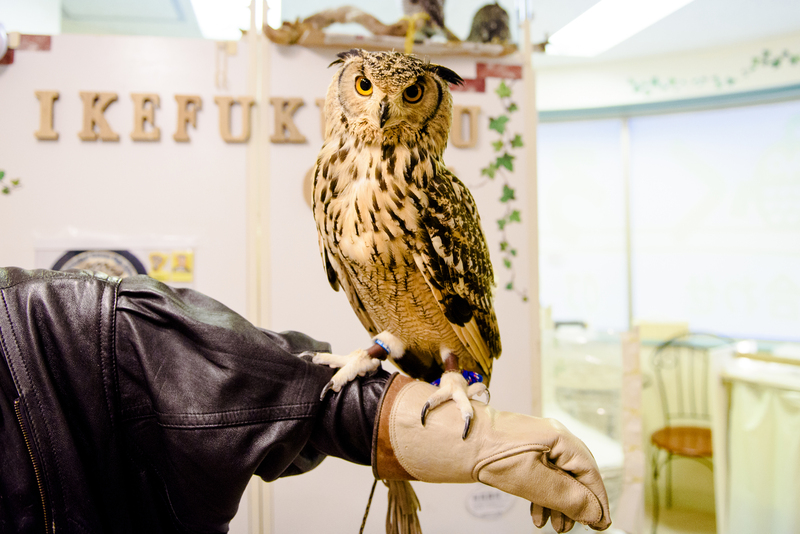 Ikebukuro's Ikefukurou Café is the place to meet fluffy owls. The name itself is a pun on Ikebukuro and fukurou (owl in Japanese). A large number of different types of owls is waiting for you to pet them and carry them around. The café is rather small, bust still spacious enough for you to take some adorable photos of you and your new feathered friend. 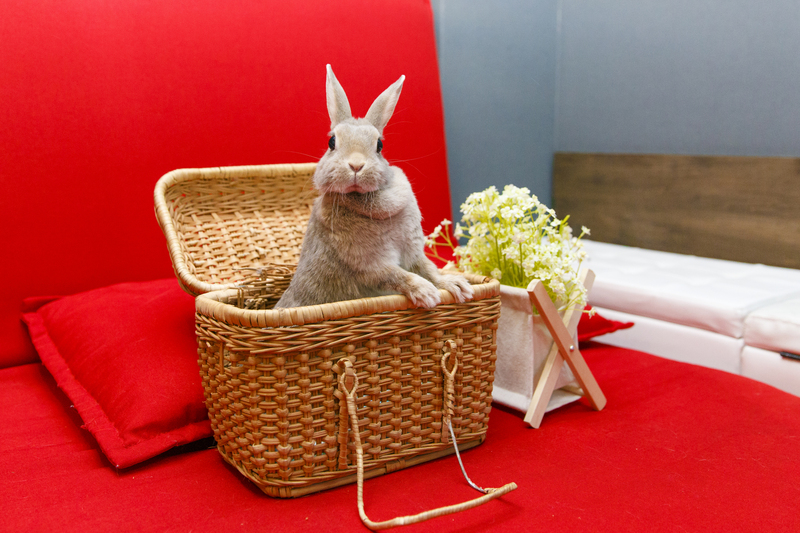 To round off your animal café adventure, stop by Hutch Asakusa, a bunny theme park housing 21 adorable furry fellows. 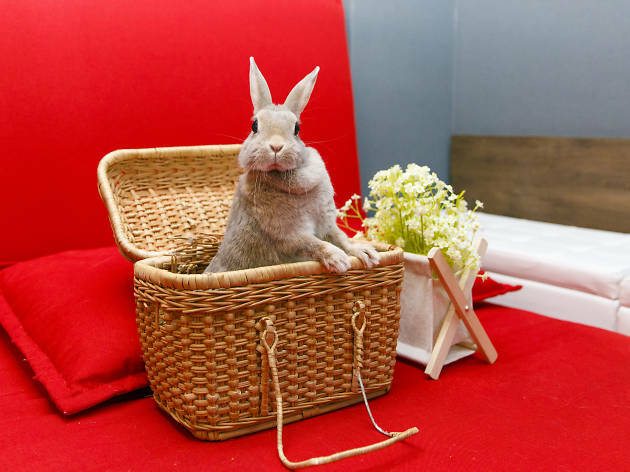 There are three entry plans available: we recommend the 'hug plan' which allows you to cuddle with your favourite bunny as long as you want and get a souvenir photo taken. The patient and knowledgeable staff will guide you through the experience. 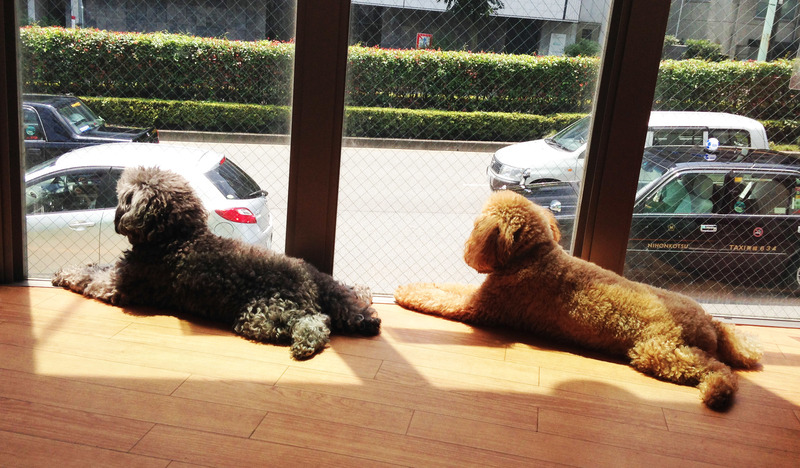 You should only visit a dog café if you truly love dogs. You need to love that they will climb on your lap and lick your iPhone and make your hands smell like dog and fight over bones and possibly do their business on the floor right in front of you. If you’re visiting Dog Heart, in particular, you should also love toy poodles since they make up the majority of the pups here (there was also one beagle in the mix when we visited). Like many animal cafés, the café section is not a big feature of the place – it’s hidden at the back and only as we were leaving did we notice the table and chairs peeking out. But that’s okay, since your main reason for visiting will be to make friends with Ribon, who has clearly mastered the art of dominating attention by charging for your lap the minute you sit down and not budging, no matter what histrionics play out around you. We only stayed for 30 minutes, but you can also rent one of the dogs for an hour and take them for a walk to nearby Yoyogi Park. Either way, it’s bound to lift your mood, as dogs do. A very colourful, flapping affair greets you when you walk up to the entrance of Kotori Café in Ueno. There's no cover charge, but you'll be expected to order at least one drink, and your visit will be limited to an hour when it's busy. 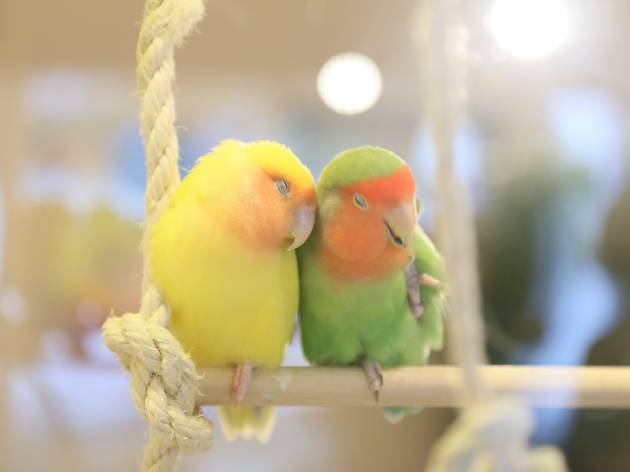 The birds are chirping away while you sip your coffee, and are of a startling variety: everything from the slightly larger white cuckatoo named Taichi and a mid-sized parrot to rosy-faced lovebirds and technicoloured canaries make an appearance. 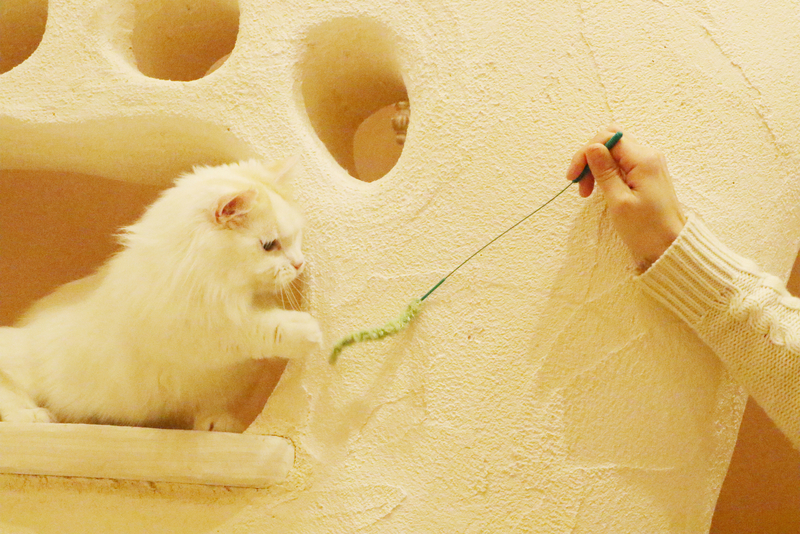 For those who want a small petting session, the café offers five-minute options as well (¥500). 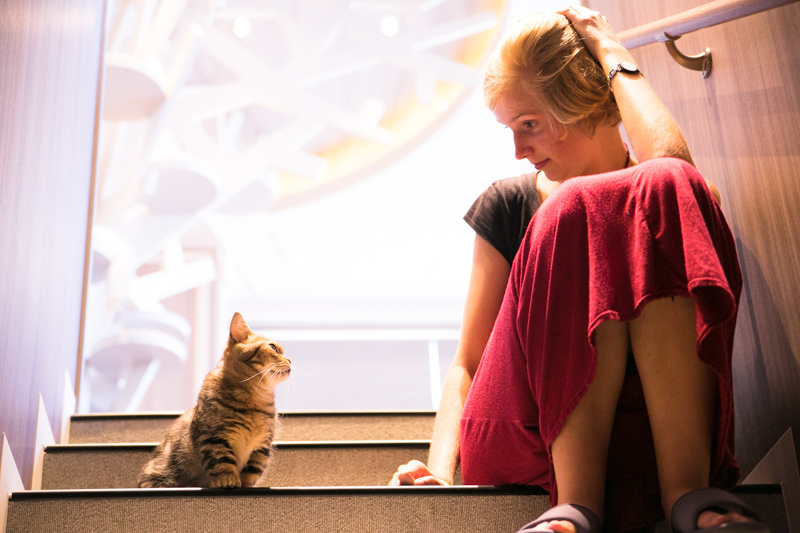 Lovers of small, cute cats, beware: you might not want to leave this place. We wandered around for over an hour and still didn't want to leave the little ones. Opened in 2015, MoCHA's interior looks as if it was designed with the cats' well-being in mind, with lots of perches, hideouts and even small alcoves through which they can run to the staffroom if the attention just gets a bit too much. 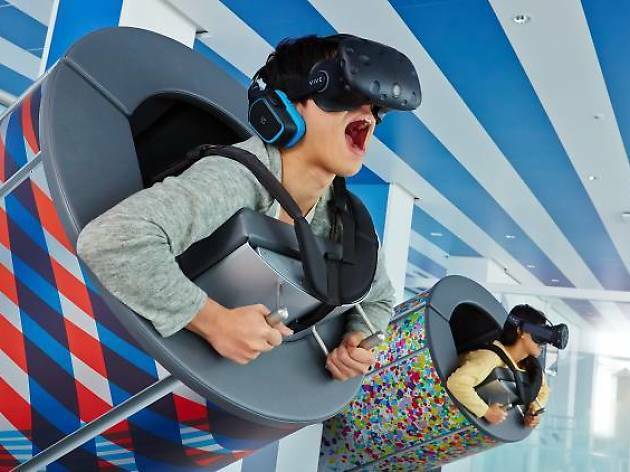 We went there on an early Thursday afternoon, and although there were a reasonable amount of people, the two floors and ample seating space meant it was never cramped. 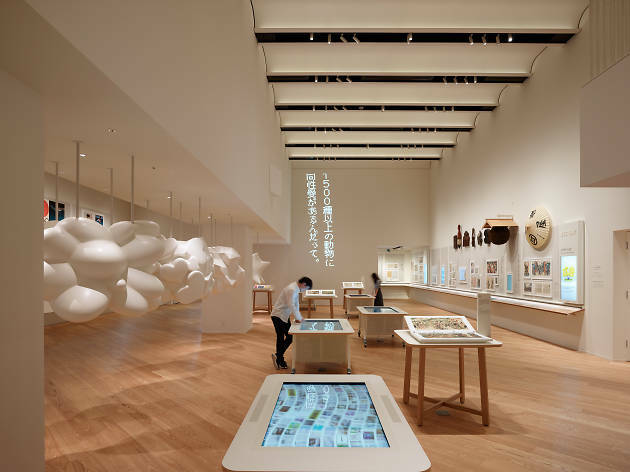 With the ¥200 per 10 minutes price tag, the flow of people also changes – office workers popping by for half an hour during their lunch break and locals who just want to while away the afternoon. 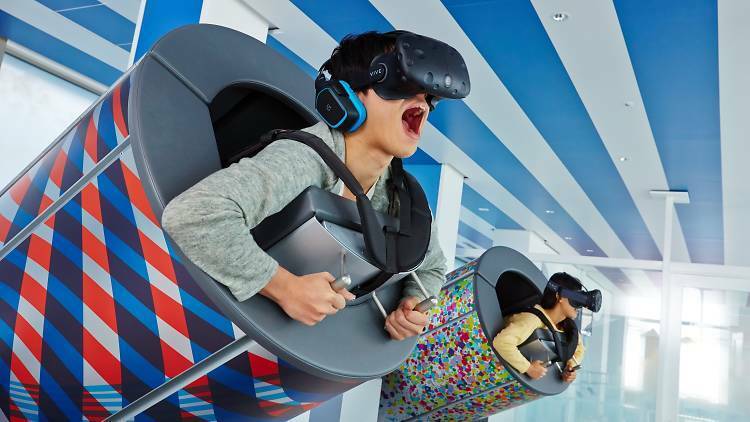 Nab a seat in one of the hanging chairs or on one of the couches downstairs for some of the best petting action. The space inside Fukurou Sabou is small, with three tables of four cosily accommodating small groups and dates beside each other. There’s a friendly atmosphere held together by a sense of collective appreciation; excited chatter and laughter between tables is punctuated by moments of hushed silence each time a new owl is brought in. One menu is used to order your mandatory drink, another to 'order' your owl. 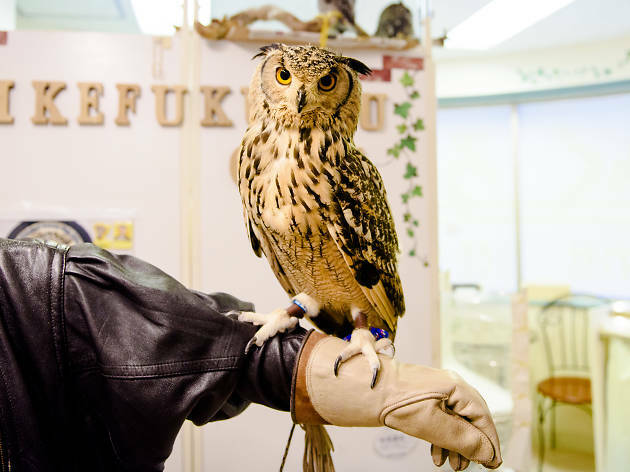 Owls range from ¥300 to ¥1,000, based on how rare they are rather than size or popularity. 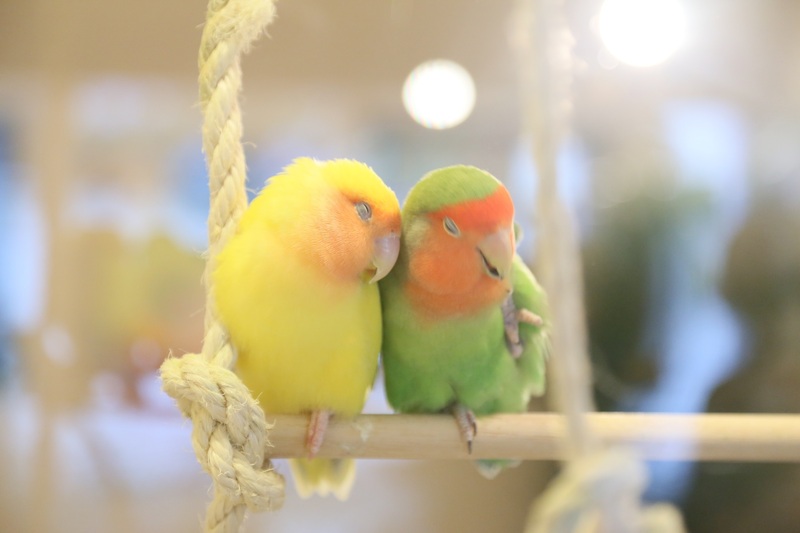 Though we have ethical concerns about keeping nocturnal animals awake during daytime hours, the issue is mitigated to some degree by the owner’s fondness for his birds and the fact that they are ensured rests. When we selected the smallest (and no doubt most popular) owl, we were told that his ‘shift’ was over and asked to choose another. 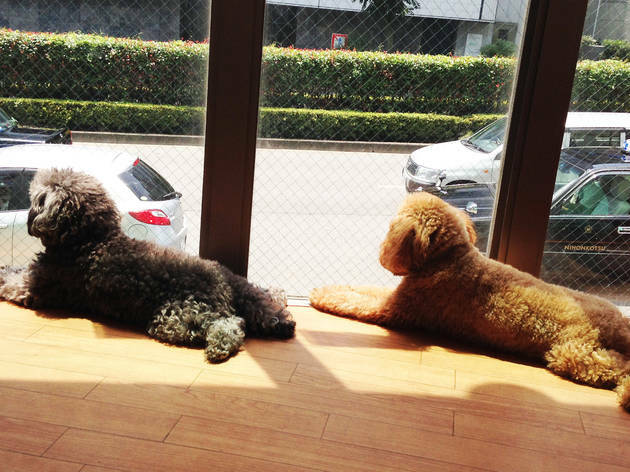 Housed on the eighth floor of a Harajuku multi-use building is Tokyo's latest addition to the already long list of animal cafés. 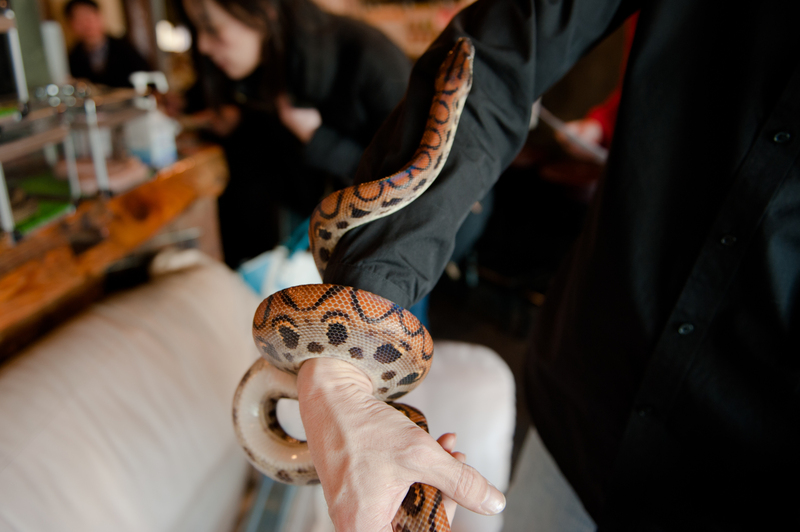 The Snake Center is home to a slithering collection of serpents, all very well trained and non-poisonous. 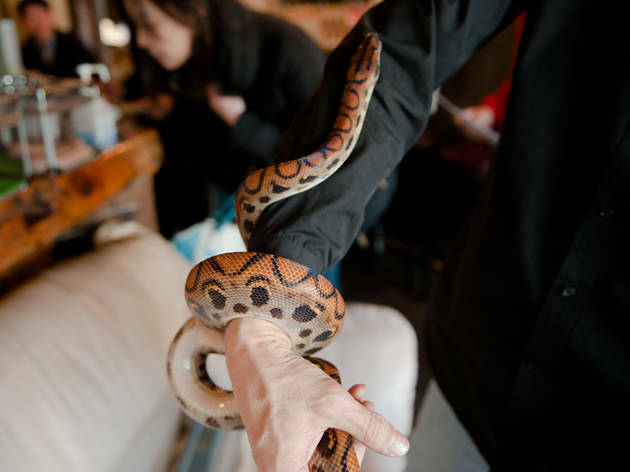 Pay ¥1,000 at the counter for entrance, one drink and the right to pick out a snake of your choice to hang out with, and spend a few hours nibbling on cake and sipping coffee while your reptilian friend observes you from the safety of its transparent box.